Click on the thumbnails below for a detailed description of each member of the team. Andy Langley spent much of his childhood clambering up and down mountains with his Scottish father. A fascination with the wonders of the natural world soon developed into a passion to capture it on photographic and video media. Encouraged by his early photographic success, in 1985 Andy founded his professional photography and media business at the tender age of twenty-one. In the last twenty years Andy's work has been widely published in the national and international press, books and high street magazines. After a brief stint running a portrait studio he branched out into television production for the sky satellite network in 2004. As cameraman, producer and photographer Andy has been fortunate enough to work all over the world, covering stories from places as diverse as Las Vegas and Monte Carlo to tracking down elusive wildlife in the remote highlands of Scotland. Now based in Yorkshire with his wife and young son he continues his life long study of the natural world. 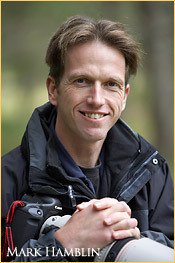 Andy founded Go Wild TV in 2007 as an independent producer of state of the art educational material for digital photographers and videographers. Very much a naturalist first, Andy's goal is to help people explore the wonders of the natural world and capture their experience through the power of digital multimedia. Andy has worked extensively on a variety of projects with the Wild Media Foundation (www.wildmedia.org) and also runs his own multimedia and production company LPS Creative Media (www.lpscreativemedia.com). Based in the heart of Scotland's Cairngorms National Park, Peter Cairns is a freelance nature photographer whose images and stories have appeared in a wide variety of media in recent years. In addition to documenting Europe's high-profile wildlife species, Peter has developed a deep fascination for our own relationship with the natural world and much of his work focuses on a diverse range of issues such as wildlife management, ecological restoration, eco-tourism and evolving land-use regimes. Along with Mark Hamblin, Peter published his first book, Wild Land, in 2004 and has recently published the widely-acclaimed book from the Tooth & Claw predator project which he initiated in 2005. Peter was recently invited to become a member of the International League of Conservation Photographers, a recognition of his growing contribution to contemporary environmental issues. 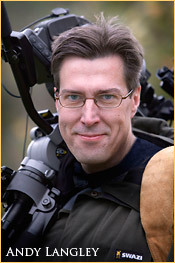 In addition to running his own photo-tours and workshops with Northshots (www.northshots.com), Peter contributes to several UK and European image libraries and has recently become a Director for the forthcoming Wild Wonders of Europe project which is set to become one of the largest nature photography initiatives ever undertaken. Chris' photography is probably best known to the one million members of the Royal Society for the Protection of Birds where he had the enviable job of staff photographer for some fourteen years, before leaving to pursue a solo career in November 1998. The RSPB has regularly featured his photographs in its magazine Birds and other publications, as well as supplying many other publishers through its photolibrary, RSPB Images. During his time at the RSPB Chris was also responsible for founding and managing the Society's photolibrary, recruiting some of the very best wildlife photographers in the UK and Europe, and having the privilege of editing their photographic work. With an educational background in zoology and plant biology, and experience in nature reserve wardening and field research, Chris endeavours to make photographs which will be effective in promoting biodiversity and advancing the cause of nature conservation. His style is very much concerned with photographing wildlife subjects at home in their natural habitat, with an emphasis on ambient light and sensitive composition. 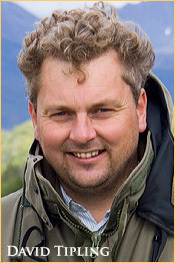 Chris' work has won him many awards, most recently the GDT European Wildlife Photographer of the Year 2007. He has also been recognised in various other international competitions, and was a runner-up in the 2002 Wildlife Photographer of the Year. In 2007 Chris' work won a 'Highly Commended' award in the same competition. 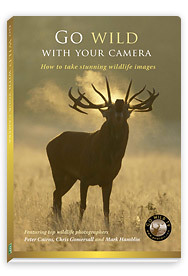 June 2001 saw the launch of Chris' first major book 'Photographing Wild Birds', published by David & Charles. More recently he acted as chief photographer and art editor on the monumental 'Birds Britannica' by Mark Cocker, published by Chatto & Windus in 2005. Mark Hamblin has been working as a freelance nature photographer since 1995. His work has taken him to many parts of the world on self-assignments as well as with Wildshots, a photographic tour company, which he runs with colleague, Peter Cairns. Brought up in Warwickshire, he developed an early interest in birdwatching, and won the Young Ornithologist Clubs photograph of the year, when he was just 14. He later moved to Sheffield to study Microbiology before heading north to his current home in the heart of the Cairngorms National Park, in 2002. Mark is a regular contributor to many of Britain's leading outdoor magazines, including BBC Wildlife and Countryman. Over his 12 year career is has also written over a hundred features for the likes of Outdoor Photography, Practical Photographer, Peak and Pennine and Dalesman. His images are represented by nine international photographic agencies including, Getty Images, RSPB Images, RSPCA Photolibrary and Oxford Scientific Films and are regularly used worldwide in magazines, books and calendars. Mark's work has been recognised in several leading photographic competitions, including seven highly commended images in the prestigious BBC Wildlife Photographer of the Year competition. 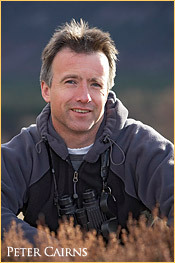 He also won category prizes in the International Wild Bird Photographic competition in 2003 and 2004. Mark's first book, Wild Peak was published in 2003 and was followed by Wild Land - Images of nature from the Cairngorms, in 2005, in collaboration with Peter Cairns. An exhibition featuring images from Wild Land has recently been on display at Balmoral Castle, Cairngorm Mountain and The Highland Wildlife Park. The pair have now completed their second book, Tooth and Claw - living alongside Britain's predators. David Tipling is a professional wildlife photographer who has a passion for birds. His distinctive imagery has earned him many awards and accolades. He has won the documentary award for the European Nature Photographer of the Year for his work on Emperor Penguins. David's images have been used in thousands of publications world-wide, in advertisements, calendars, cards and featured regularly on TV. 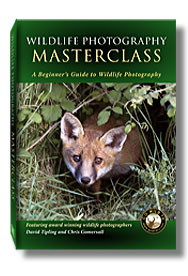 He is the author or commissioned photographer for more than 30 books that include The RSPB Guide to Digital Wildlife Photography. David lives in North Norfolk where he runs regular photography workshops and holidays.